Addressing the annual Rajendra Mathur memorial lecture organised by the Editor’s Guild of India on August 9, the Dalai Lama said the ‘preparation work’ to select his successor, the 15th Dalai Lama, will begin in as early as ‘one or two years’. Writing in a July 1955 issue of National Geographic magazine, Austrian mountaineer Heinrich Harrer recounted how his confidante the 14th Dalai Lama was chosen. Harrer, who escaped from a prison camp in India and spent a noteworthy ‘Seven Years in Tibet’ as his autobiography was called, described the 14th Dalai Lama’s recognition. A search party that journeyed to the China’s Qinghai province in 1937 to search for the 13th Dalai Lama’s reincarnation stopped at a small house where a precocious two-year-old boy sprang up and ran out to meet them, identifying a disguised priest and choosing the ‘Great Thirteenth’s’ favourite drum and walking cane. The monks found marks on the child’s body – prominent ears and moles on the upper part of his trunk – which appeared to confirm he was the reincarnation. Now, 80 years after that astonishing event, the Dalai Lama believes the time has come for him to choose his successor. Addressing the annual Rajendra Mathur memorial lecture organised by the Editor’s Guild of India on August 9, the Dalai Lama, said some of the ‘preparation work’ to select his successor, the 15th Dalai Lama, will begin in as early as ‘one or two years’. “Some of the preparation for the future of the Dalai Lama institution will begin in the next one or two years,” the Dalai Lama said indicating that his successor might be found either in Mongolia or in the Northern Himalayas (India). The Dalai Lama’s significant comments on his succession were overshadowed by his statement on the Doklam standoff where he invoked the spirit of ‘Hindi-Chini bhai bhai’. These comments, however, are unlikely to go unnoticed in Beijing because it marks a significant departure from what the Dalai Lama said on September 24, 2011. The process to choose his successor, he said in a statement, would begin only after he turned 90, in the year 2025 when he would consult Tibetan Buddhist high Lamas on the need for continuing the institution of the Dalai Lama. If the institution’s utility was felt, it would be the responsibility of the Dalai Lama’s Gaden Phodrang Trust to choose his successor. 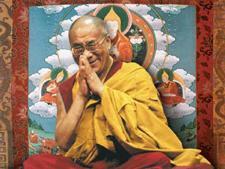 The trust would consult with the various heads of the Tibetan Buddhist traditions to select the 15th Dalai Lama. Scholars point out two significant aspects of his August 9 statement – the Dalai Lama has already decided on the need to continue the institution and the deadlines for choosing a successor have been advanced. “He feels the twin pressures of his advancing years and of the Chinese,” says Tibetologist Claude Arpi. While the Dalai Lama did not specify the nature of the ceremonies that will begin in the next two years, scholars say it is likely to be prayers and tantric rituals in Buddhist monasteries asking for his reincarnation. There’s one other significant departure – the 15th Dalai Lama, unlike the 14 preceding ones, would be chosen while his predecessor was still alive. The Dalai Lama’s recent statements assume significance in the light of China’s growing intransigence and its outright rejection of limited autonomy for Tibet. 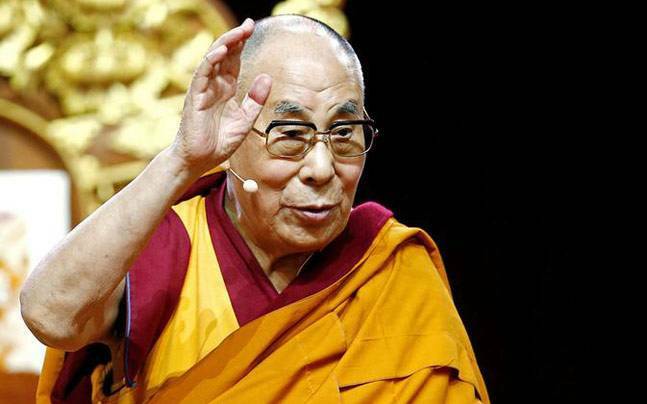 Beijing has, in recent years, called the Dalai Lama a ‘wolf in sheep’s clothing’ and lodged a strong protest over his visit to Arunachal Pradesh’s Tawang monastery in April this year. The Dalai Lama’s 2011 statement ended with a warning aimed at preventing China from foisting a successor on the Tibetan people as it did with the Panchen Lama in 1995. ‘Bear in mind, apart from the reincarnation recognised through such legitimate methods, no recognition or acceptance should be given to a candidate chosen for political ends by anyone, including those in the People’s Republic of China.’ A fact reiterated in his August 9 statement where he indicated his successor would be chosen either in India or in Mongolia.